There’s a style for everyone! 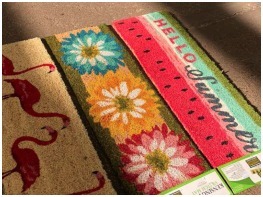 Our Coir Mats are eco-friendly door mats made from natural coir fibres extracted from the outer shell of coconut and known for its durability, strength and water absorption. 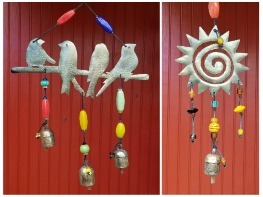 New Moksha™ Chimes have arrived! The perfect gift for any gardener. Each is unique and all are handmade in a small, company co-op in the city of Surat, India. 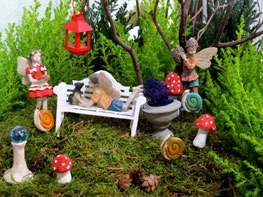 Discover tiny furniture, fairy figurines and other miniature garden accessories, including decorative glass, sand and mosses to complete your creation. Not sure what your recipient really hopes to get from NHG? 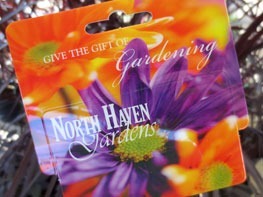 Whether it’s fresh veggies, a specimen Japanese maple, blooming plants or one-of-a-kind artwork, an NHG gift card is the perfect solution.